Simply the best! If you want a great experience, market knowledge and unmatched service, Ryan is your agent. I looked up so many reviews and read so many horror stories before I found Ryan. Tonight, I write this review from the comfort of my dream house. Thank you Ryan! This is the third real estate transaction that I had with Ryan. Our greater family has had many more. In my eyes that means satisfaction in all phases of the real estate transaction. He is always available, very helpful and gets to the properties he thinks will work for your needs. Most importantly he is a great listener. I would highly recommend Ryan to anyone. I had a great experience with Ryan. He took the time to ask what I was looking for in a house as well as read my reactions to houses to narrow down very quickly what I like and didn't like. He was not pushy and let the house sell itself. He was honest and didn't try and downplay any issues with the houses we looked at and didn't try an push any on me just to make a sale. Since closing on the house he has also been good about following up to ensure that everything is still going well. Overall working with Ryan was a great experience, I am so glad I went with him. He was very professional and he knew his stuff. He queued in quickly as to what I wanted and was able to help me find it and then navigate everything with ease once I found the home I wanted. I would highly recommend Ryan to anyone that is looking for a house, you will not regret working with him. It was a pleasure working with Ryan Evans on the recent purchase of our home. He was attentive to our requirements and negotiated on our behalf with the selling agent. He payed keen attention to detail and followed up with us in a timely manor. I will definitely have Ryan Evans assist us in the future with any real estate transactions. We recently had Ryan help us complete the sale of our home. He was helpful and thorough throughout the entire process. We have worked with other realtors in the past, but none have been and knowledgeable and hardworking as Ryan. He took care of a lot of details and resolved a lot of issues behind the scenes that made the sale of our home possible. You will not regret hiring Ryan as your agent. We are extremely glad that we chose Ryan Evans as our real estate agent. He was very helpful, friendly, and knowledgeable and we highly recommend him. He was very clear as he walked us through the process of selling our house, and was very approachable when we had questions, since this was the first time we ever sold a house. He was always available if we had questions, and was very good at letting us know what was going to happen next and what to expect. We were very impressed with his knowledge of the real estate market in Salt Lake City, as well as his negotiation skills, as he was able to sell our house very quickly. We highly recommend Ryan Evans! This was the second home we have purchased with the help of Ryan, and couldn't be more happy with the process & outcome. Ryan is very honest, points out things that you may have not thought about when viewing a home, and we would trust him again in a heartbeat. He was very quick responding to email, text, or phone calls. Always on time, patient, and we never felt pressured into anything. Ryan has a lot of connections which helped us tremendously in the process. He was always very professional, and we knew he was looking out for us and acting in the best interest of his clients. Ryan is an outstanding realtor. He helped us buy our very first house and sell/buy our current homes. We went with a different online realtor for a previous home and we noticed a big difference in professionalism and knowledge. Ryan however was extremely patient and helpful addressing all of our questions and concerns. He always had time for us and was always looking out for us. To my knowledge, Ryan does not advertise and relies on repeat customers and word mouth. I would highly recommend Ryan to anyone. He also hooked us up with some sweet house warming gifts. Thanks Ryan. My husband and I had a very hard time with the whole process of finding a home. To say we were very frustrated and discouraged is an understatement! Thankfully we were put in contact with Ryan Evens. Our experience with him was a night and day difference. We felt like we were his number one priority. He explained the process step by step and was so patient with all of our questions. He found us our perfect home within a week and we were in our home within a month of meeting Ryan. We are so happy in our new home and know it wouldn't have been possible without him. We will ALWAYS use him as our realtor! Protecting your most valuable asset. Our homes are usually the largest financial investment we make in our lives. It is my job to make sure that if you are selling, you are getting fair market value for your home, and if you are buying, that you are making a wise financial investment that will benefit you and your family for years to come. Facilitate your transaction from start to finish. I write contracts based on your needs and requests, communicate with real estate agents or clients on the other side of the transaction, and coordinate with escrow officers, loan officers, contractors, and inspectors. My job is to ensure that the transaction goes smoothly so you can focus on more important things, like loving your new home or leaving your old one. Taking care of your needs. Selling your home can be stressful and emotional. Our homes are a part of who we are, and moving can be very taxing. I will make sure that your home is well taken care of throughout the selling process. I also use unique marketing materials that showcase all of your home's amazing qualities to prospective buyers. In short, I treat your home as though it is my own so that you can feel confident that your home is in good hands. Finding you the perfect home. 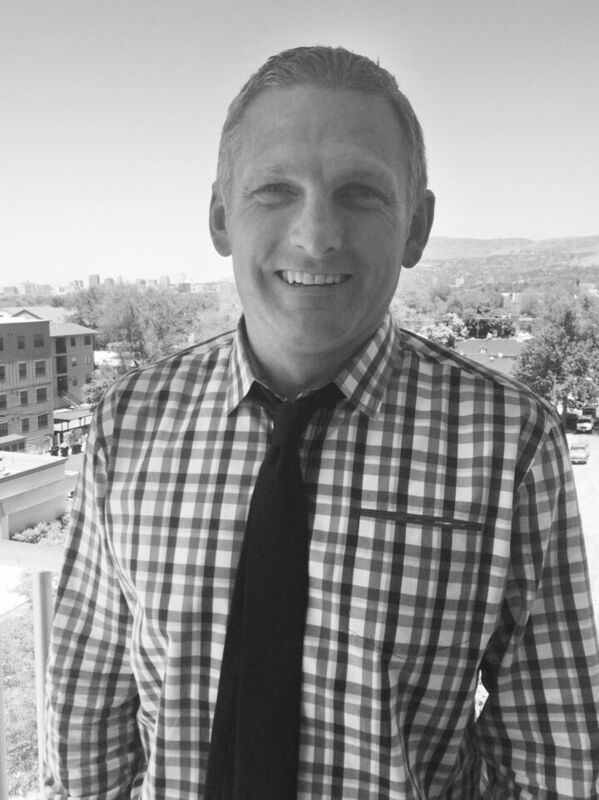 I pride myself on my knowledge of the Salt Lake real estate market and my ability to find clients exactly what they are looking for, for a fair price. Buying your home is supposed to be exciting and fun, not stressful and time-consuming; my goal is to put in the time and effort that it takes to find you exactly what you are looking for so that you can enjoy the process of home buying!